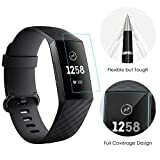 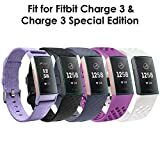 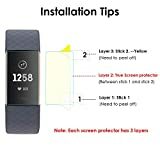 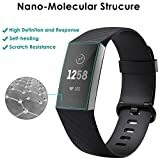 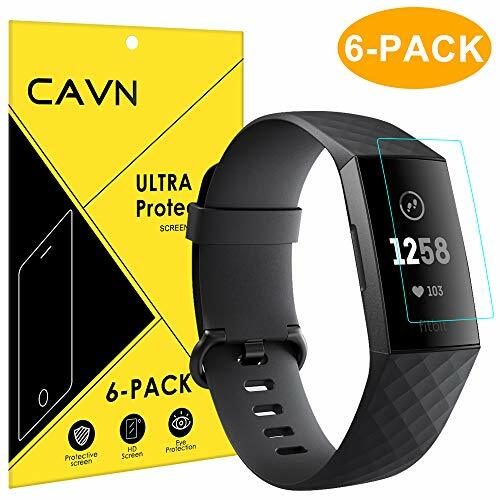 You Will Get 6 Packs High Quality Fitbit Charge 3 Screen Protectors. 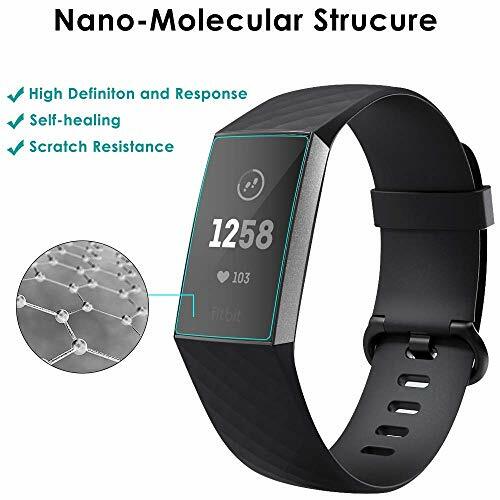 They are made of high grade A Multi-Layered Thermoplastic Urethane with self-healing Technology. 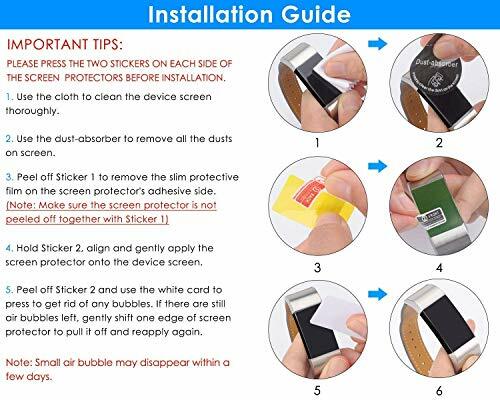 Easy Installation--We provide a high grade micro fiber cleaning cloth, dust absorbing stickers and a bubble-free card to ensure easy installation. Fingerprint-Proof-Our Fitbit Charge 3 Screen Protector is fingerprint proof to keep your screen fully covered. Perfect Design-Well mold opened to allow your Fitbit Charge 3 screen to keep fully functional and protective. 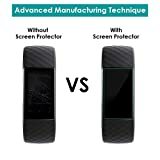 Warranty-we provide lifetime on-hassle warranty protection for your purchased screen protectors. Our Screen protectors are made of high grade A Multi-Layered Thermoplastic Urethane with self-healing Technology. Multi-layer Shatterproof Film sourced from Japan, including an anti-bubble layer minimizing the potential for bubbles to appear during installation from under the Fitbit Charge 3 screen protector. 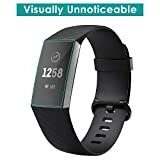 It is virtually invisible and provides complete edge-to-edge coverage of your Fitbit Charge 3 screen next to the band. 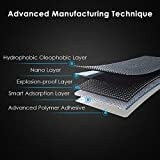 We provide a high grade micro fiber cleaning cloth, dust absorbing stickers and a bubble-free card to ensure easy installation. 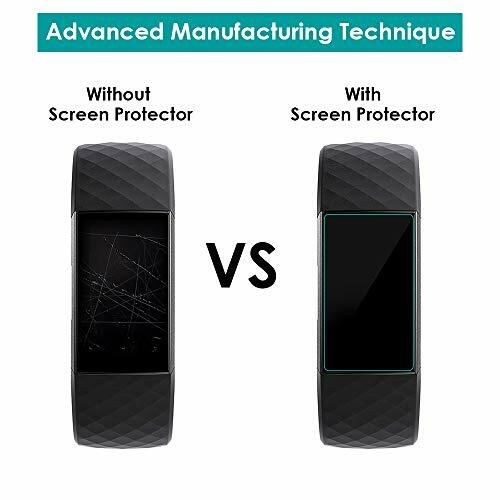 Our Fitbit Charge 3 Screen Protector is fingerprint proof to keep your screen fully covered and ensures your device is protected without any features being sacrificed. Our Fitbit Charge 3 Screen Protector is well molded, it can ensure your Fitbit Charge 3 screen to keep fully functional and protective.